Coming up with creative marketing solutions for your company to expand your client base may be out of your wheelhouse, but it isn’t out of reach. for St. Charles based marketing company Vision Force Marketing who offers marketing consulting, that includes ways to increase visibility and your customer base. Get reviews. 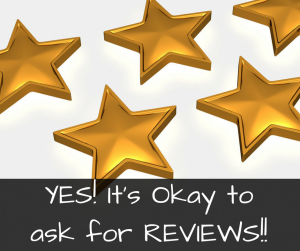 Ask your customer base to review you. Send out surveys via email, post it on your website, offer a quick survey in your store or office for clients. As an incentive, either offers a chance to win a prize through a drawing or a percentage off their purchase that same day. Post some of the findings of the survey and the results of the giveaway on your website or social media pages. Create a program when customers refer business. Offer discounts or incentives for your current customer base when they share your services or products. This will help spread the word about your business. If executed correctly, it will also give you a measurable number to track of how many clients are referring you to their network. Find businesses to refer customers. Take the customer referral program another step and find other people who own businesses in the community and your area of service who can refer your company to their customers. Many businesses offer services that are complementary, rather than just being competitors. Finding those connections and working hard to solidify those connections for the purpose of growing your business can be priceless. This can be beneficial to all parties involved especially if you can refer back to them to your existing customer base. Find ways to expand your client base with the help of a marketing consulting firm who is creative and will think outside the box to find both traditional and digital marketing solutions. Call St. Charles’ best marketing company, Vision Force Marketing, to schedule to speak with our staff. We will help you find the right ways to effectively move your company forward and to obtain sustainable strategic growth.